Picking Paint Colors: Through the eyes and mind of an Interior Designer. 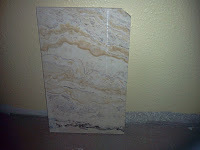 Iam an Interior Designer and have been in the business of remodeling for over 25years. I have remodeled two houses with my husband in that timeand we are on our third home. With thatsaid this is by far the hardest part about being a designer is doing your ownhome. I needed to pick paint colors for theexterior and for the interior so I followed some of my own rules. 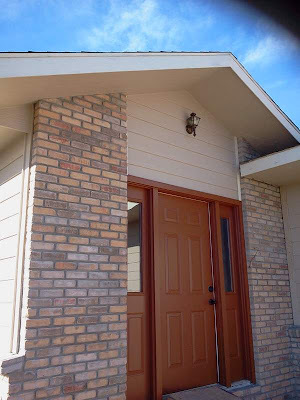 change such as brickor stone accents and colors of shingles. I thought I was lucky in thatmy brick is variegated with cream, rust, taupe, brown colors. Pay attention to style of home - mine is in the countrybut is a typical trivial built in the late 90's. I have lived in the home for over 10 years now battlingwith the fact the house has been telling me I. need to paint warm colors and creams that is not what Ihave done in the past homes. So off I wentto the paint stores to find the color I had in mind with brick and fabricswatches in hand. 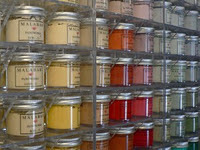 Hereis a big tip - The paint stores will do small sample jars, it is worth themoney to buy them and juststart putting colors on the wall and live with itawhile before spending money on a gallon of paint. I tried 12 different samples ( see what I mean aboutthis being the hardest part). I feel it isimportant to set the theme of the house from the moment you walk up to thefront door. Sothis is what I choose - the taupe brown for the body of the exterior siding thecream for the exterior trim and the rust for the accent color on all exteriordoors. 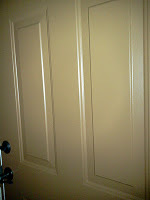 I also carried the rust into the interior of the houseon the interior doors and an accent wall and a window seat alcove. The Interior walls are a much darker warm yellow (gold)color than the exterior cream. The flooringis tile in the entry way with all the colors mentioned above in a travertinelike pattern. The flooring in the rest ofthe house is Hickory which also complements the warm yellow and rust colors. The views expressed in this article are those of the author and do not necessarily represent the views of Khaki Pant Painting Co. I found this article to be extremely helpful and interesting. I never thought to consider the color of my countertops when choosing paint for my home.